27 February 2017 – Dubai, UAE: 10 years ago Taste Festivals launched in Dubai with a vision to become the most loved Food, Drink and Music Festival. In 9 years the festival has seen 160,000 visitors, 172 of the hottest restaurants, 1032 different dishes served and 56 celebrity chef appearances. 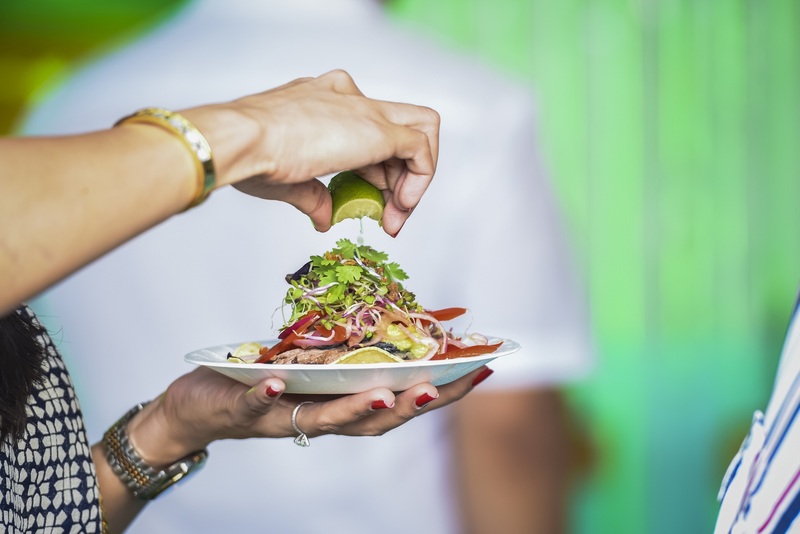 Taste of Dubai has become the social scene for foodies, families and friends and is the only place in the city where visitors can enjoy tasting their way around 24 of the city’s hottest restaurants for as little as AED15 per plate. This year sees the return of some of the festival favourites as well as a number of top eateries including Ramusake, Weslodge, Big Easy Bar and Grill, Aubaine, Burger and Lobster, Carnival by Tresind, Catch, Namu, J&G Steakhouse, Cook Hall, Sonamu, Olea, The Gramercy, Fratelli La Bufala, Abyat, Royal Orchid, Spice&Ice, Teatro and Lucky Voice, GRK Fresh Greek, Cucina and Carluccios. International celebrity chefs Reza Mahammad and Jenny Morris will join the sizzling line-up of world acclaimed chefs including Michel Roux Jr, Gary Rhodes, Aldo Zilli, Eric Lanlard, Mohammad Orfali, Tarek Ibrahim, Tim Anderson, Paolo Pettenuzzo and regional blogger and food lover Zahra Abdalla who will be sharing her insights into family gatherings with a twist on traditional Middle Eastern cuisine. Legendary soul and motown singer Billy Ocean is set to smash the stage on the opening night and will be performing all of his top hits including Love Really Hurts Without You, Caribbean Queen, When the Going Gets Tough and Get Outta My Dreams, Get into My Car. Electrolux is continuing its partnership with Taste of Dubai in its 10th anniversary. This year, the new ‘Make life delicious’ programme will give visitors the opportunity to both learn, share and be inspired to try new ways to bring food to life. The Electrolux Chef’s Theatre in association with Etihad Airways will host live demonstrations from a selection of the world’s best chefs, including Michel Roux Jr, Jenny Morris and Eric Lanlard. Etihad Airways returns to Taste of Dubai with their Taste the World initiative, designed to promote their talented inflight chefs from around the world alongside culinary stars from the UAE. Participating chefs from Taste of Dubai will have the opportunity to demonstrate their skills on the main stage in a bid to be named a Taste the World winner. Each dish in the competition will be judged by an independent panel including an Etihad Airways chef, Taste Festival expert and local food influencer. The winner of the Taste the World Dubai competition will compete at Taste of Abu Dhabi in November where the 2017 Taste the World award will be presented to the chef who best epitomizes Etihad’s food philosophy. Etihad Airways inflight chefs will also be demonstrating on the Electrolux Taste Theatre at Taste of Dubai, in association with Etihad Airways, throughout the weekend. Ensuring the event continues its success, leading sponsors have been confirmed including Electrolux, Etihad AirwaysPyrex, Noor, Marriott International, Transguard, My Gym UAE, Al Tayer and Zomato Gold. Zomato will launch their subscription-based exclusive members club – Zomato Gold, at The Taste of Dubai. 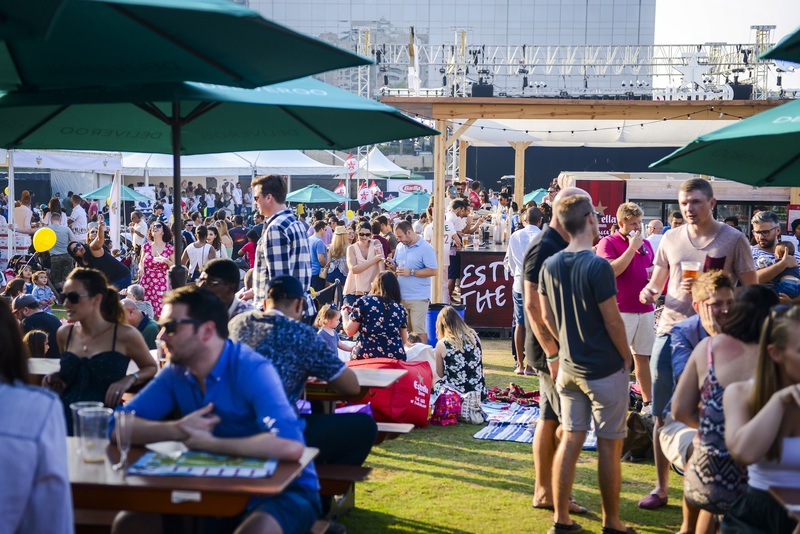 Taste of Dubai will return to the Dubai Media City Amphitheatre for its milestone 10th edition from Thursday 9 to Saturday 11 March 2017. Taste of Dubai will run from 4pm – 12am on Thursday, 12pm – 12am on Friday and 12pm – 11pm on Saturday. Tickets are on sale via www.tasteofdubaifestival.com or www.platinumlist.net. Standard tickets start from AED49.50, VIP tickets start from AED199.50 and kids under 12 can enter for free.